Looking for a healthy yet tasty breakfast or snack option? 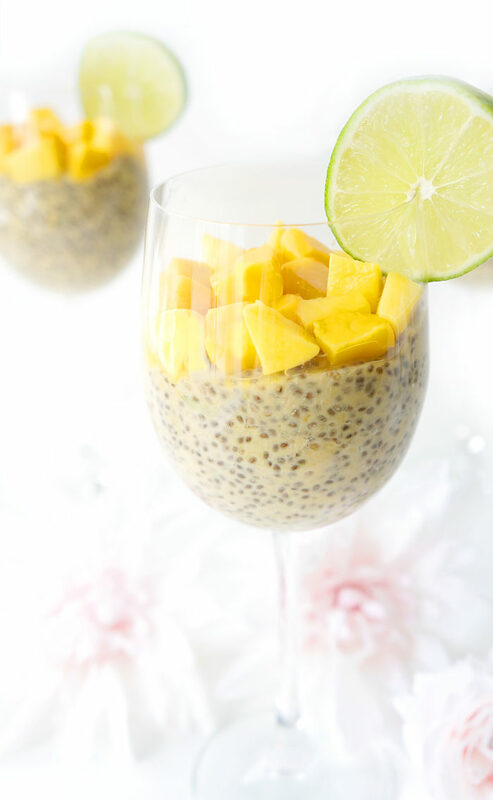 This Mango Lime Chia Pudding is a delicious and filling source of protein, fibre, and calcium, yet it tastes like dessert! A great dairy-free, gluten-free & vegan option. So let’s talk about snacks for a second. We all love to eat them, but raise your hand if you struggle to know what to have as a snack on a daily basis. Now I can’t see you (obviously), but I can bet that more than half of you struggle to come up with healthy and delicious snack ideas. Every. Single. Day. And I know that because I do too! And so do a lot of other moms out there that I’ve talked to. In fact, I’d say it’s probably one of the number one questions I receive as a Dietitian. Ideally a healthy snack should be nutrient-rich and made up of some type of protein and fibre for satiety. After all, do we really want a snack that’s going to send our blood sugar plummeting and have us running back to the cupboard for more food in a matter of minutes. We want our snacks to be filling, yet tasty. In past years, I struggled to know what to have for snacks. I had eliminated dairy since I noticed that it was causing some digestive issues for me. The problem is, I used to rely on things like Greek yogurt, cottage cheese and cheese to get my protein and calcium. Plus, they were always my go-to snack foods. So I was in a bit of a pickle. That’s when I started experimenting with chia seed puddings. I love chia seeds because they’re little nutritional powerhouses packed with calcium, magnesium, omega 3’s, fibre and protein. That’s a whole load of nutrients for a bunch of little seeds! When combined with almond milk, the seeds come together to form a texture resembling rice pudding. By adding the fortified almond milk, it also provides a source of calcium and vitamin D. Perfect for those who can’t do dairy! Add in some mango and lime, and you get a mega dose of vitamin A and vitamin C.
The next step is not 100% necessary but highly recommended. I like to add a scoop of protein powder to my chia seed pudding. The problem with a lot of plant-based milks is that they have very little protein (with the exception of soy milk). So by adding the protein powder, it just boosts the protein content a tad. protein powder, which is a great vegan option) it adds sweetness so very little additional sweetener is required. You can add a touch of maple syrup if desired but I found I didn’t need it when I had the mango mixed with the protein powder. If, however, you like your pudding a little more sweet or choose to leave out the protein powder, you can always add a bit of maple syrup or honey. This snack is sounding better all the time, right?! So you get all of that goodness for less than 150 calories. What I also love is that this recipe can be made in advance. Don’t you LOVE recipes that can be made ahead of time, and are just sitting there waiting for you in the fridge? Staring you right in the face, so it’s totally a no-brainer? I don’t know about you, but with a busy baby, I barely have time to brush my teeth let alone whip up all these creative and tasty snacks on the spot. Solution — when the kids are playing or in bed, whip up a batch of this chia protein pudding. It only takes about 10 minutes to prepare and makes 6 servings. So you’ll pretty much have enough snacks for the week! Plus, it’s so pretty, you’ll want to stare at it all week long in the fridge! Blend all of the ingredients for the chia pudding together in a food processor or blender until smooth. Allow to sit in the fridge for at least 3 hours to thicken. 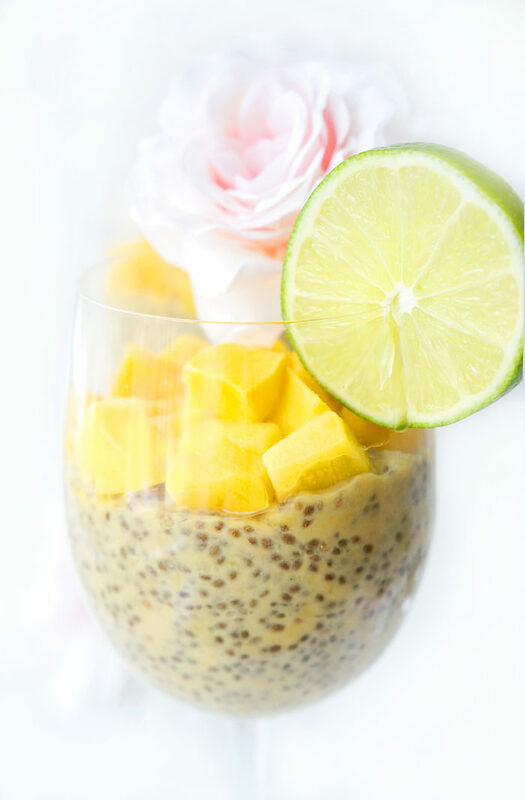 Divide chia pudding into six mason jars, bowls, or glasses (it looks really pretty served in wine glasses!) 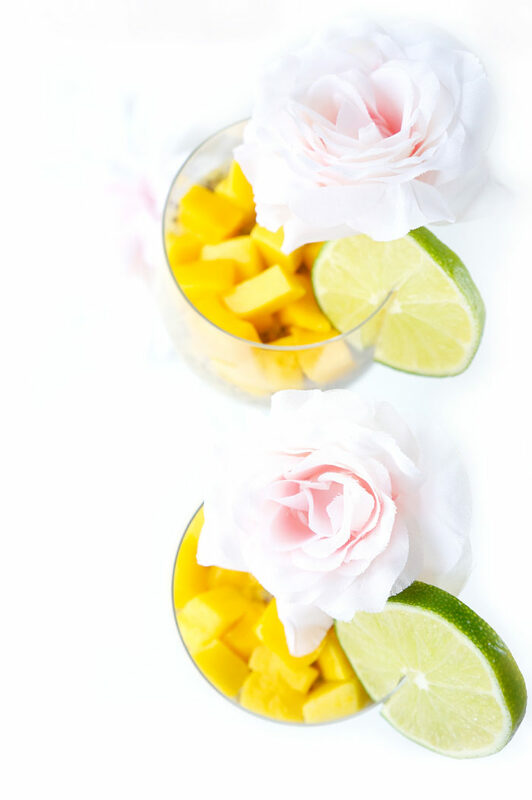 Top each serving with diced mango. The protein powder isn't 100% necessary, but recommended to boost the protein content. If you use a vanilla protein powder, you may require less maple syrup or you can leave it out all together. Yay! I really need to do this more! I have a bunch of protein powder I’ve been trying to use up and this sounds like a great way to do it! :P It looks delicious! Thanks Farrah! 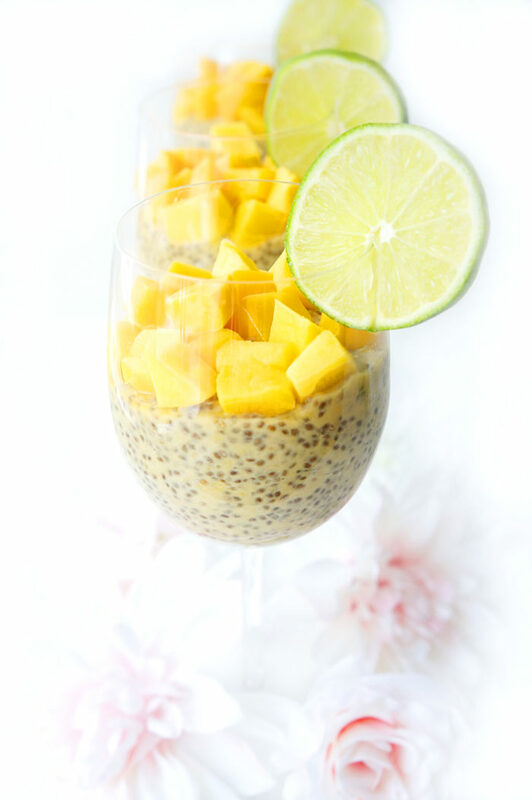 Chia pudding rocks especially when you can boost the protein with the addition of some protein powder~! 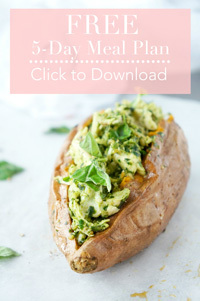 This looks DELICIOUS and perfect for meal prep on those busy morning and for summer! I have been seeing a lot of mango recipes and I think I need to stock up on some. Thanks for sharing! Thanks Katie — yes it’s such a great option for those crazy mornings! 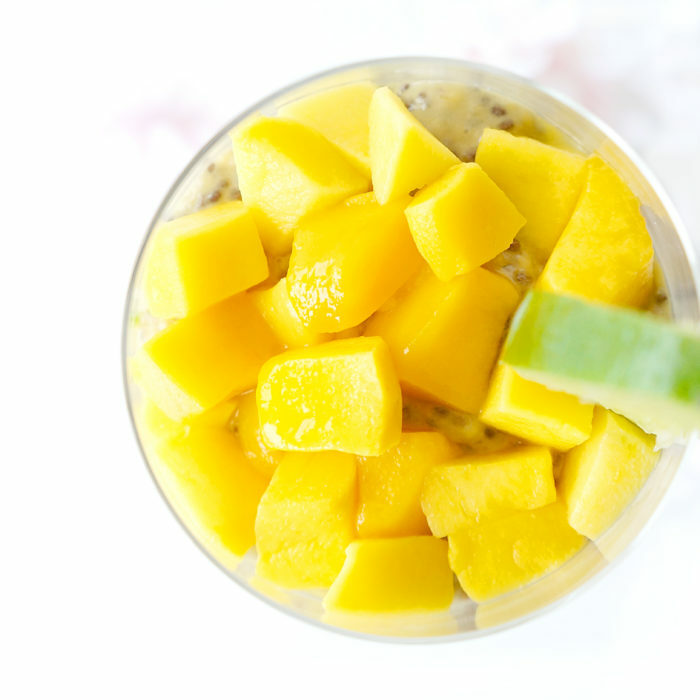 The mango adds some nice natural sweetness to it, so less added sugar is required! Thanks Deborah! Yes, so light and refreshing after a long winter! I’m not a chia lover but you make it look so yummy! Those mangos… mmmmm. I love chia pudding. My favorite is my recipe for chocolate covered strawberry chia pudding. So good! 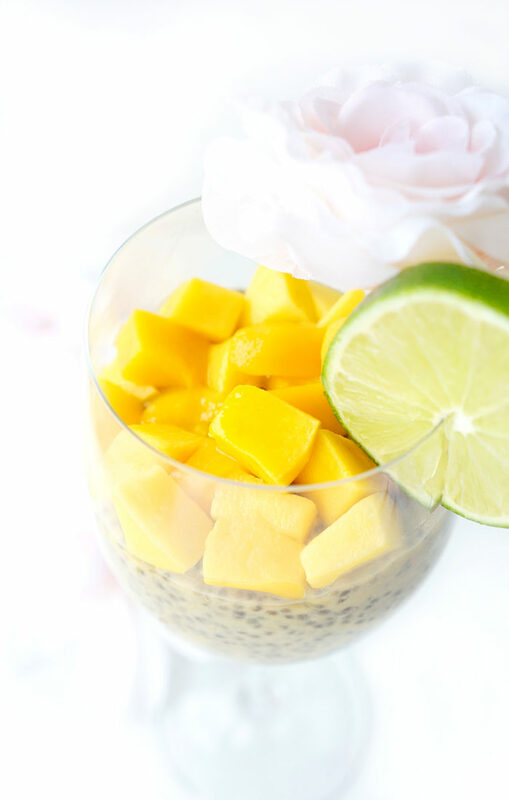 Love that you added mango to your recipe. Thank you — that chia pudding recipe of yours sounds delicious Jill! Love any fruit and chia pudding combo!